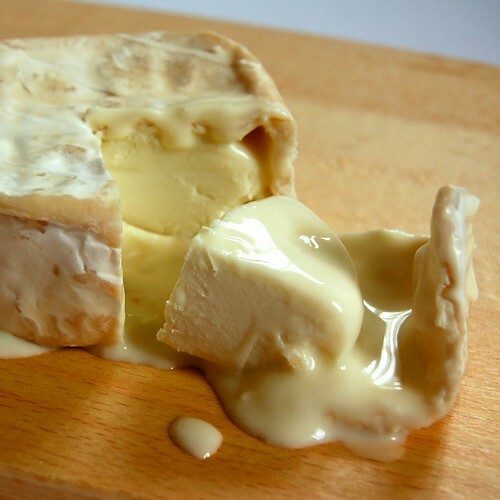 They may have a quirky name but Udder Delights produce seriously good cheese. 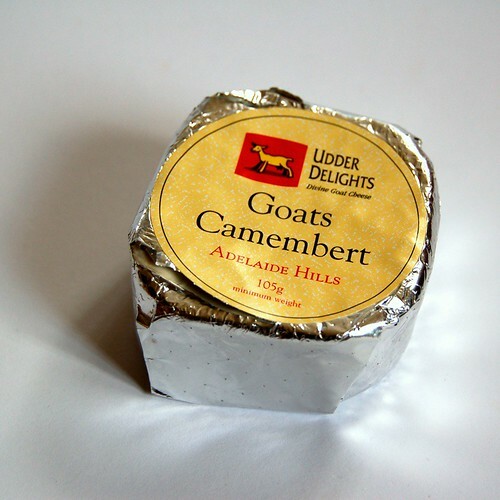 Founded in 1999 and based in the Adelaide Hills in South Australia they are most well known for their goat cheese though they have recently expanded their range to include Jersey cow milk cheese. I should note that a Cheese Cellar will be opening in Spring 2006, located at Hahndorf. It will be a centre for sales, tastings, education and include a café. In this silver parcel lays a cheese that wanders the line between solid and liquid. This is made in the Normandy style using non-animal rennet. 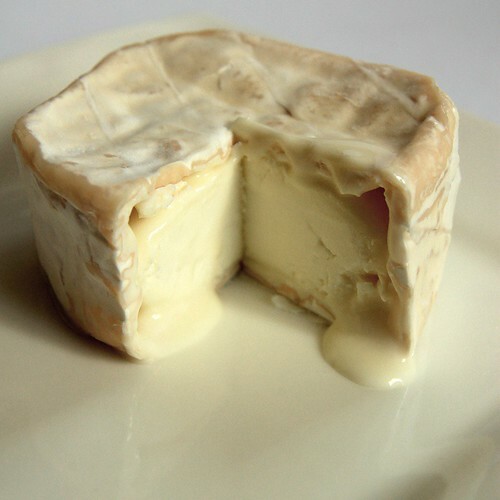 Before serving this cheese it's most important to get an indication of it's level of maturation - this is done by gently squeezing the sides of the cheese. 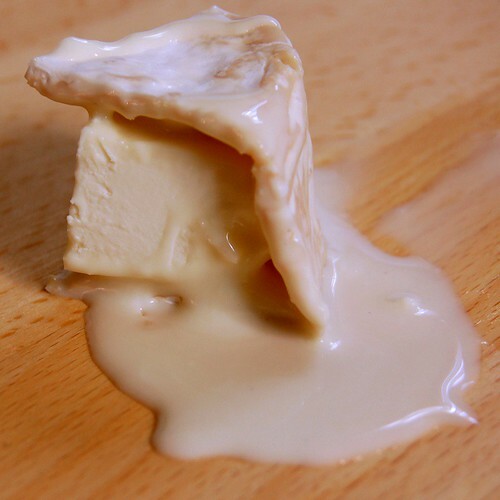 At full maturation the cheese is liquid and would be served by just cutting off the top of the cheese and serving it as is, with the rind as a bowl. This illustrates the two states - the cheese is maturing from the rind to the core - in two weeks time that solid section will have converted. I don't know about other people, but I find this type of cheese very hard to resist. It's best to serve this at room temperature, to maximise the ooze and release the flavours, just take it out of the fridge about an hour before you want to eat (or drink) it. 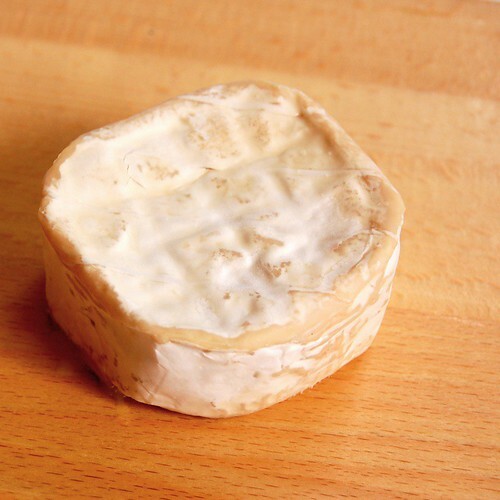 Tastewise, it has a creamy mouth-feel - the rind is quite mild at this state and this cheese should appeal to all cheese lovers. It's an utterly delightful cheese!